Nintendo gets ready to throw another Wii option on store shelves. 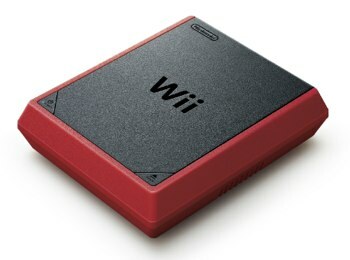 Just when I thought I had a handle on what Nintendo would or wouldn't do with its existing hardware, the Wii Mini comes along to destroy that notion in a fiery blaze of bright red plastic. It's official: Nintendo's Wii Mini is coming on December 7th for $99.99, and along with its new design, the slightly smaller console lacks a few features of its older brother. Nintendo briefly had a Wii Mini announcement page up on its official website, but it has since been taken down for unknown reasons. But that hasn't stopped retailers all over the web from making their own announcements regarding the new, smaller Wii. First let's examine the redesign. The console is tiny, but the current version of the Wii, and even the original console, were pretty small already. The system features textured black plastic sides and a red border, with two buttons blended into the corners. The two buttons appear to be Power and Open, meaning that the top of the console - the black section with the Wii logo - opens to allow you to put in discs. No more automatic disc slot this time around. As far as other features go, the console lacks both GameCube support and built-in wifi. GameCube support was already removed as of the most recent redesign, so that isn't really a surprise, but killing wifi is a real bummer. If you want to play games online, we're going to assume you'll need to plug a dongle into a USB port on the rear of the device. 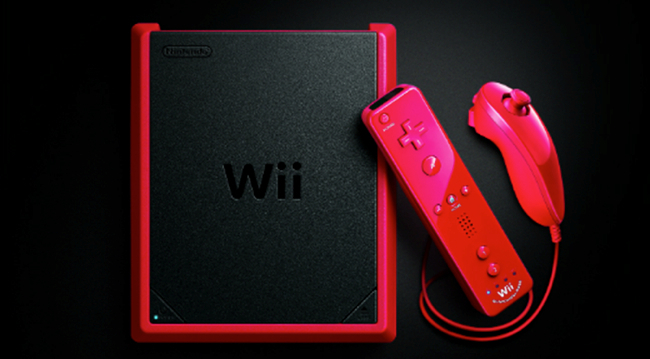 The $99.99 bundle will score you the Wii Mini console and a red Wii Remote Plus and Nunchuck. Now, I've already been rather open about my feeling that with so many current Wii bundles on store shelves, some gift givers unfamiliar with the gaming scene might accidentally purchase a regular Wii instead of a Wii U for their loved ones. Now we have an entirely new form factor thrown into the mix, along with a slightly altered name. Can this possibly end well? Let's hear your theories.